Our thoughts are with all those affected by the horrible attack at the Westgate Mall in Nairobi this weekend. 2012 has arrived, but I wanted to take a moment and reflect on all that was accomplished in 2011. I remember this time last year we were facing challenges with Kenyan government support and registration. Steve was our only salaried employee and we were working out of my Nairobi apartment due to extremely limited funding. Our model was still conceptually fluid. 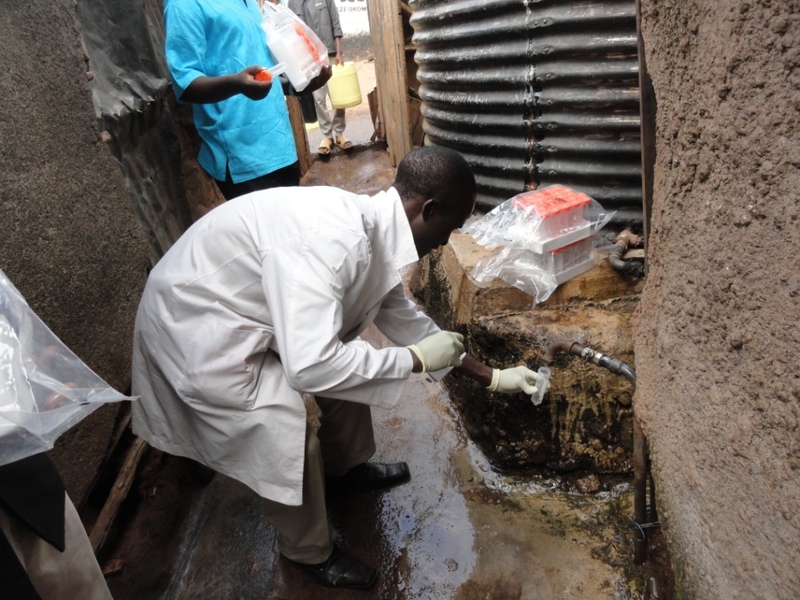 At this time last year we were still nearly six months away from launching operations in Kibera. However, despite these challenges, we launched on May 25, 2011 and saw tremendous success right out of the gate. We focused heavily on generating awareness of Life Force Kiosks in the market and worked hard at communicating the benefits we brought to the people of Kibera. We saw a need for a water purification solution that was truly affordable, convenient, effective, and didn’t ruin the taste of the water. We thought that Life Force Kiosks would meet that need, and the community agreed. During our first full month of operations we purified roughly 20,000 liters of water. In November that number was closer to 70,000! 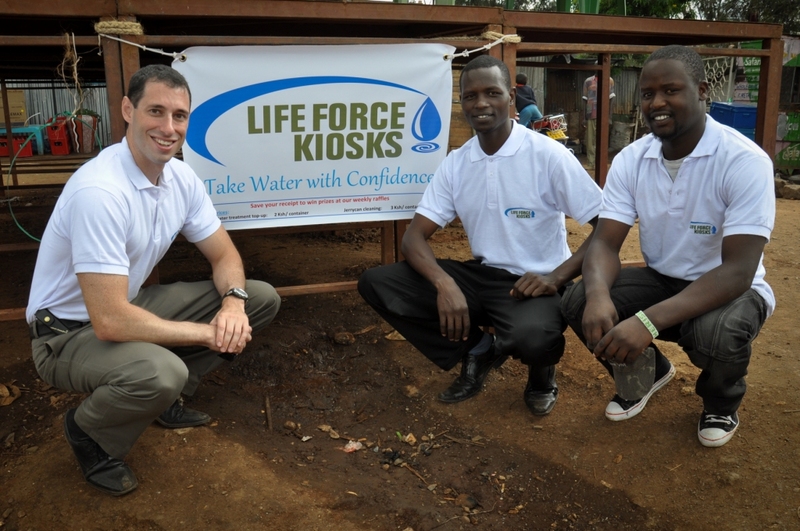 I’m excited to say that in 2011, Life Force Kiosks purified over 312,000 liters of drinking water! Of course putting clean water in a dirty storage container doesn’t do much good, which is why we’ve also cleaned about 3,000 storage containers. What might be even more incredible is that we did all that with a budget of around $15,000. I’d once again like to thank all our generous donors who made all of this possible. And of course, the real heroes of Life Force Kiosks are Steve Mumbwani, Fred Omondi, and our ten kiosk vendors. Our board consisting of Scott Espiritu, Richard Wardell, Andrew Otieno, and Rikka Trangsrud also provided extremely valuable support and I greatly appreciate all their efforts. 2012 brings some exciting new opportunities. The growth from 20,000 to 70,000 liters of water purified per month without hiring additional vendors or increasing our marketing budget shows the clear demand for the services Life Force Kiosks is providing. The next step is to expand our vendor network, as that’s the best way to increase our positive impact in Kibera. We’re talking with two organizations that are potentially interested in providing funding, and of course we hope our donors will continue to see the value in supporting Life Force Kiosks. I look forward to sharing updates on our progress throughout 2012 and beyond. I wish you all a very happy new year. Today was an exciting day for Life Force Kiosks. 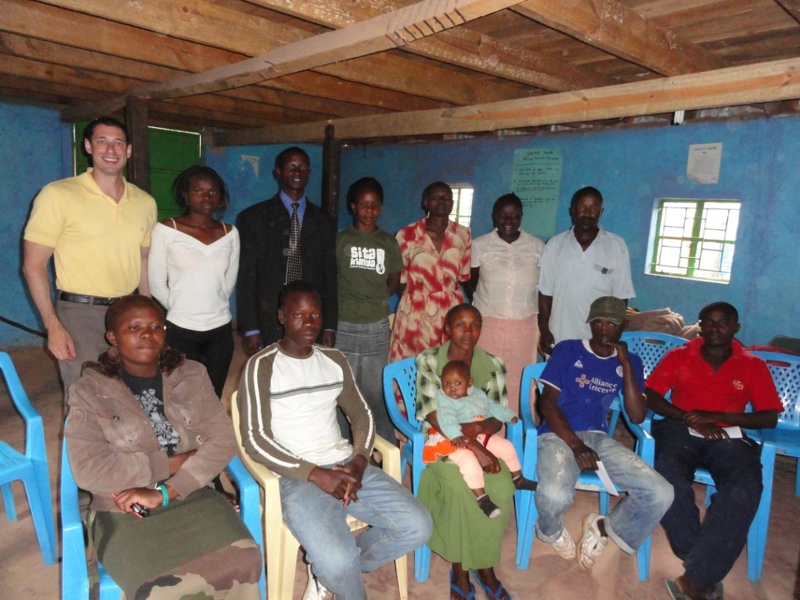 We met for the very first time with our team of water vendor partners in Kibera. At the meeting, Steve and I explained in more detail our model for treating water and washing water storage containers to reduce the risk of disease. We also explained the benefits to them as partners, namely that they will earn more money every day while helping their community stay healthy. 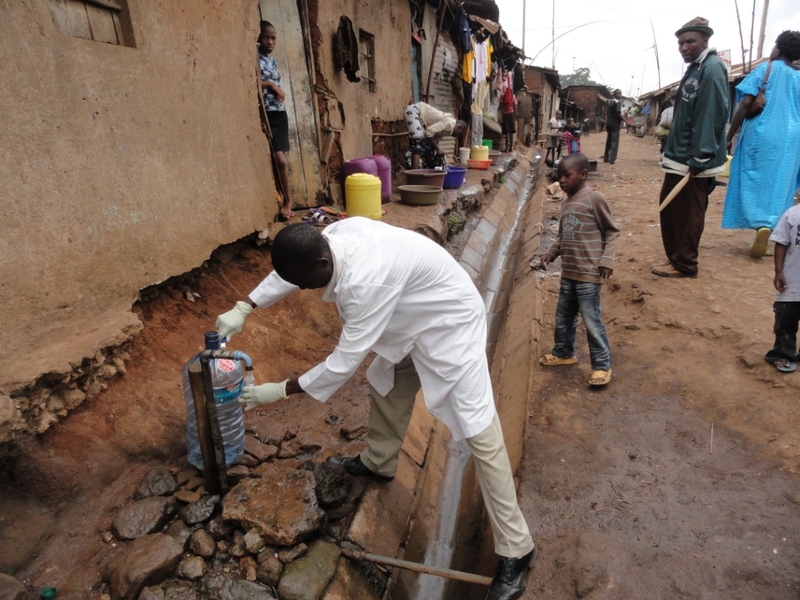 When I first started talking to other non-profit organizations in Kibera I was warned that the vendors are often threatened by people working in the clean water sector, but it was not too difficult to win them over with our model. First, there is no out-of-pocket cost to the vendors. Life Force Kiosks provides the supplies to the vendors for free and then we recoup the cost with sales revenue. It’s a lot easier for a non-profit organization to raise the investment capital than a bunch of water vendors living in the slums. Second, there’s no opportunity cost for the vendors. They still show up to do their same job every day like they would if we didn’t exist. Worst case scenario for them is that they can’t sell our products in which case they just make the same income they would normally make from selling water. But if they do sell our products, they make their normal water income plus some extra amount from the new sales. Third, we make their job easy by implementing lots of marketing promotions in the community. We’ll have fun events like raffles and concerts to promote our products, put up signs all over the community, partner with health clinics, and give presentations at womens’ groups. Eventually some people will simply walk up to the vendor and ask for our products, which means the vendors make a little extra cash with very little extra effort. We’re excited to have the pilot team fully formed and excited to get started. Over the next few weeks we’ll conduct some basic operational, business, and health training to the team. 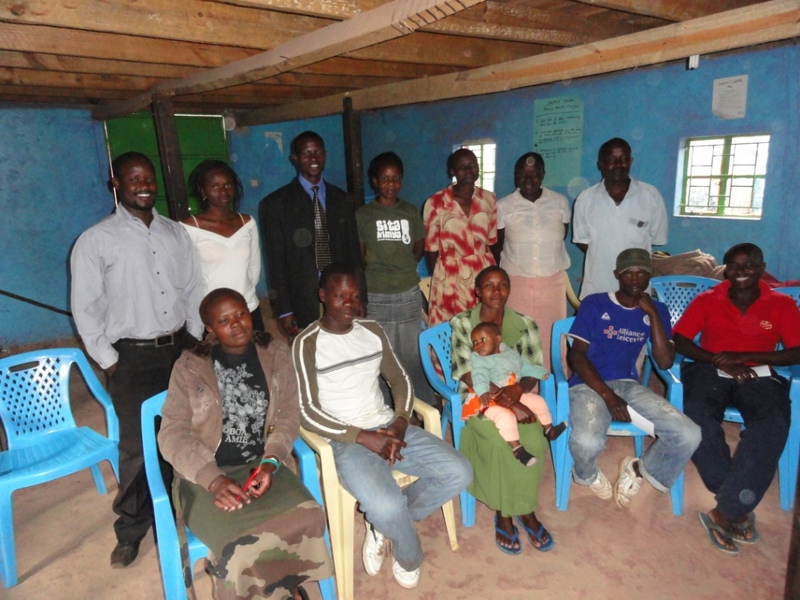 Stay tuned for more exciting updates as we approach the launch of Life Force Kiosks in Kibera!